Spent today trying to get to grips with a slideshow plug in for wordpress. As per usual once I read the instructions properly it was fairly straight forward. I managed to put a slideshow together of our photos taken in Thailand when we were lucky enough to see Kitti’s hog nosed bat, alias the bumble bee bat alias Craseonycteris thonglongyai. 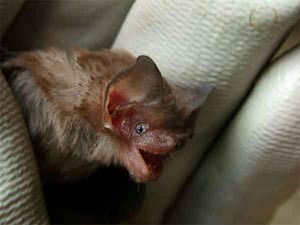 This entry was posted in Uncategorized and tagged bat group members on holiday, bat thai, bumble bee bat, Craseonycteris thonglongyai., Kitti's hog nosed bat, photogallery, thailand bats. Bookmark the permalink.